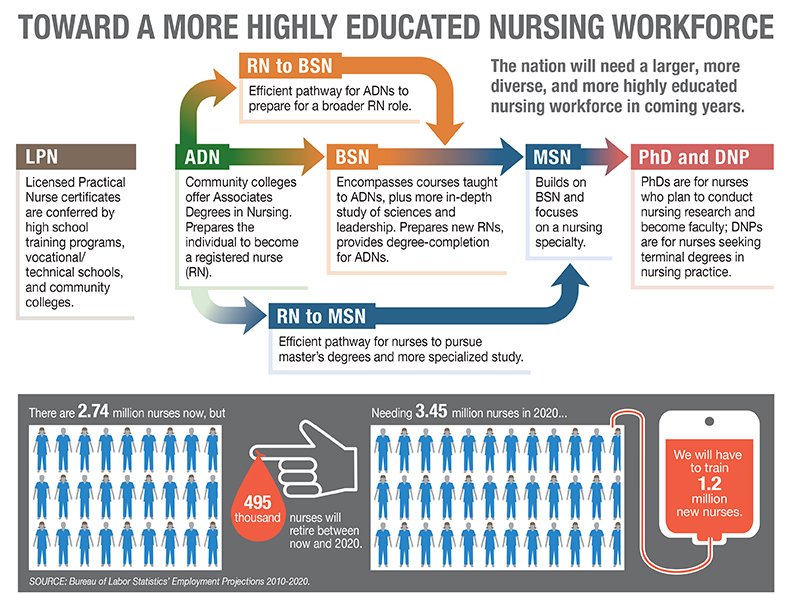 Research over the last decade has validated over and over that hospitals with more BSN prepared nurses have lower rates of mortality and post-surgery complications, with shorter patient stays. More education for nurses has proven to keep patients safer. Nurses should achieve higher levels of education and training through and improved education system that promotes seamless academic progression. 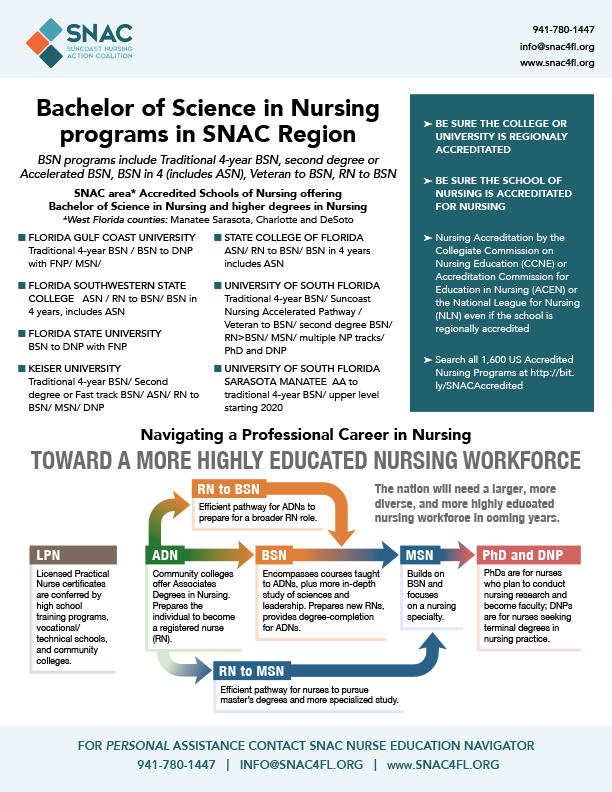 The Goal is to increase the proportion of nurses with BSN degrees to 80% by 2020. Nurses should be full partners, with physicians and other health care professionals in redesigning health care in the United States. Effective workforce planning and policy making require better data collection and an improved information infrastructure.